Formula 2 proved its worth as F1’s main feeder series last year when the top three in the championship - George Russell, Lando Norris and Alex Albon - all made the step up to F1. It means the 2019 grid is filled with some of the most exciting rookie talent for years - especially if you throw in Antonio Giovinazzi too (which we’re going to). All four of them finished in Melbourne and though they weren’t among the points scorers, all of them put in very impressive performances. Let’s get Gio out of the way first, for two reasons. Firstly, because his race had a huge effect on the other rookies; secondly, so we can explain why we’re considering him a rookie before you rush to the comment section to point out that he’s already raced twice. Yes, he has done two races, when he subbed for Pascal Wehrlein at Sauber in 2017. However, that was two races, two years ago, both of which were done with minimal preparation. With two years of third driver duties under his belt for Ferrari, Haas and Sauber, he comes into 2019 with more experience and a full winter of preparation. For us (plus the fact that having done two races is hardly grounds to call him a returnee) that makes the 25-year-old as much a rookie as the others on this list. Qualifying wasn’t great - a small mistake on his lap left him 14th as teammate Kimi Raikkonen made Q3 - had he repeated his Q1 effort then he’d have made the top 10 as well. Then, at the start of the race, he damaged his car in contact with Carlos Sainz. That, combined with a very long opening stint on the soft tyre was what made the midfield train so tight. 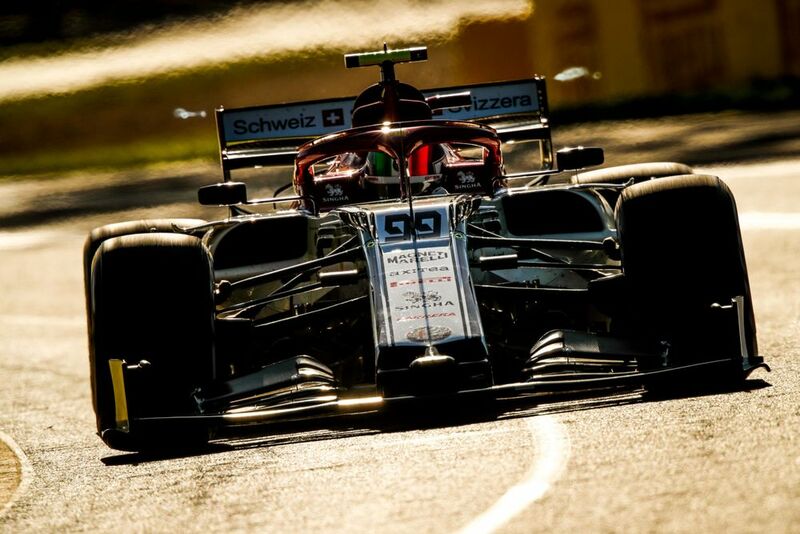 Giovinazzi actually did a very solid job of defending from Norris and the rest of the early stoppers for so long, which is what contributed to the long-running Lance Stroll, Daniil Kvyat and Pierre Gasly jumping up the order after their stops. It was a difficult opening weekend for the Italian - he’s clearly fast but he’ll need to cut out the small mistakes to succeed in what is a ridiculously tight midfield. Norris was undoubtedly the star of qualifying. Nobody was giving McLaren much of a chance to get through to Q3 but the 19-year-old was in the top 10 in all three parts of quali, eventually ending up a seriously impressive eighth. His start wasn’t brilliant as he got shuffled down to 10th but he was looking fairly comfortable. Unfortunately, pitting early to cover off the likes of Albon and Perez left him stuck in the Gio train. He did a fine job of attacking him - aggressive enough to keep the Alfa under pressure, but restrained enough not to do anything silly. After eight laps he finally found a way past but by that point, the damage had been done and he ended up 12th. After the race, Norris blamed himself for finishing four places lower than he started, saying he’d “let everyone down.” We reckon he’s being a bit hard on himself - it was hardly his fault his strategy was ruined being stuck behind a damaged car on a track where passing is tough! Overall it’s been an excellent start for Lando. It’ll be interesting to see how he compares to his teammate when he has a less compromised weekend as Carlos Sainz is a solid benchmark. Albon has come a long way - this time last year he didn’t have a drive in any series, now he finds himself outqualifying experienced teammate Kvyat on his debut. He made a good start, too, moving up to 11th which, with Romain Grosjean’s retirement, could easily have become 10th by the end of the race. Like Norris, however, his early pit stop left him stuck in the queue of cars behind Giovinazzi. To make matters worse, on the same lap that Norris and Grosjean passed the Alfa, Albon made a small error and was passed by Perez, resulting in 14th place at the flag - right on the tail of Norris and Perez. 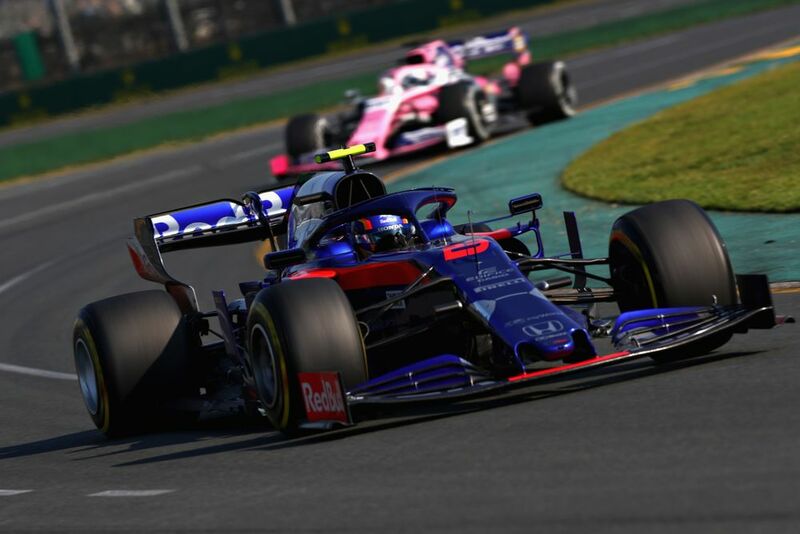 What makes Albon’s performance relative to Kvyat all the more impressive is the fact that he’s never raced at Albert Park before. It’s easy to see the battle between him and his teammate being particularly close as both have been given chances they probably weren’t expecting. Albon has raced at Bahrain in F2 and Toro Rosso was quick there last year - he could well score himself a chunk of points next time out. You’ve gotta feel a bit sorry for Russell - he dominated Norris and Albon in F2 and yet, of the three, he’s ended up in the slowest car in F1 and faces a lonely season of running towards the back with only Robert Kubica for company. He comprehensively outperformed him this weekend - yes, Kubica tons of issues, but he was at least partly responsible for his accidents in qualifying and the race, whereas Russell was able to keep things clean. It’s going to be hard for him to impress but on the face of it, Melbourne was a solid start. 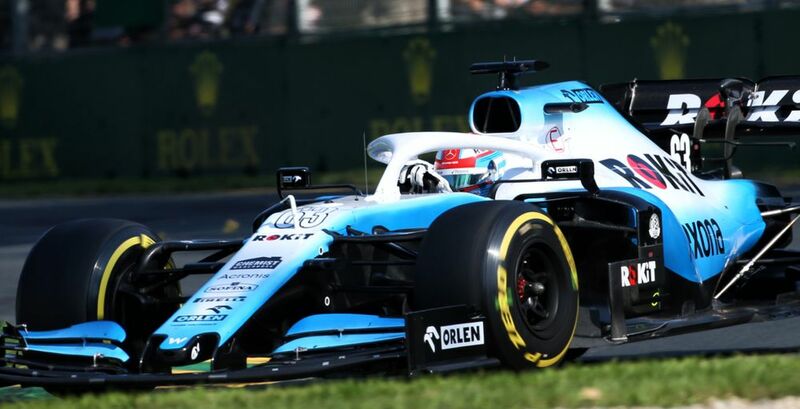 He made two pit stops during the race in order to try out every compound of tyre, and his best lap (which he set late on with the hard compound) ended up being within a couple of tenths of the best laps from Norris, Perez, and Nico Hulkenberg. Ignoring Giovinazzi’s wounded car, Russell finished just over a lap behind Albon. Considering he made an extra stop in a car that’s significantly slower and will have spent much of the race dealing with blue flags, that seems like a pretty good return - after the race he said he “achieved all of his goals” and has generally been very positive, despite the team’s position. The test will be when his teammate starts having a few more normal weekends as he’s the yardstick that everyone will be comparing him with.